7 MCA Entrance Exams you must know! 7 MCA Entrance Exams you must know! 7 MCA Entrance Exams you must know! Careers360 brings you all information about colleges to selection process, the parameters will make you eligible for the Master in Computer Applications (MCA) programme. 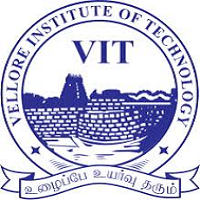 Birla Institute of Technology (BIT) Mesra is a deemed university and was founded in 1955. BIT Mesra is accredited by the National Assessment & Accreditation Council (NAAC) & the National Board of Accreditation (NBA). BIT MCA entrance test is conducted every year for admission to MCA courses at its various centers. The cost of the application form is Rs. 1,200 and it can be filled online. Eligibility: Candidate must have minimum of 60% marks in average in Class 10, Class 12 and Graduation and a bachelor’s degree in BCA/ B.Sc in Comp Science, B.Sc/ BA. Test Pattern & Selection: The online entrance is of 2 hours duration and has 120 objective type questions on Mathematics, Analytical ability & Logical Reasoning and Computer awareness. Upon declaration of the result each centre will shortlist candidates for counselling on the basis of their performance in the MCA Online Entrance Test, provided they have applied for that Centre, and fulfill the eligibility criteria. 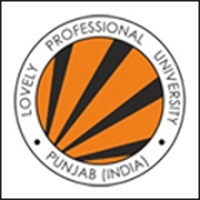 Guru Gobind Singh Indraprastha University is an affiliating and teaching University established by government of Delhi in 1998. The University awards various degrees like: B.Tech/ M.Tech, MCA, M.Sc, B.Arch, BCA/ MCA , BBA/ MBA, BMC, B.CAM, B.Pharma, B.Pt, BHMCT, B.Ed, LL.B (Hons. ), MAHM, MCPHM, MHRPD, BHMS, MBBS and PhD etc. The admission to these programmes is done yearly through Common Entrance Test. The MCA Programme of IP University and affiliated institutes has over 1,000 seats including those for reserved categories. The cost of the application form is Rs. 1,000 and it can be obtained from designated Punjab & Sind Bank branches all over India. Eligibility: Candidate must have minimum of 60% marks in Class 10, Class 12 and Graduation and a bachelor’s degree in BCA/BSc in Computer Science, B.Sc/ BA. Test pattern and selection: The entrance test is of 2 Â½ hours duration and consists of objective questions from the following sections: (i) Mathematics (25%), (ii) English Language & Comprehension (25%), (iii) Computer Awareness (25%), (iv) Logical and Analytical Ability (25%). A final merit list for counselling will be prepared based on the result of the examination. Admission will depend on the cutoff and the availability of seats. Jawaharlal Nehru University (JNU) is one of the premier institutes in India providing higher education. JNU offers MCA in the School of Computer & Systems Sciences which was established in 1975. The cost of the application form is Rs. 220/- for one field of study, Rs. 430/- for 2 fields of study and Rs. 600/- for 3 fields. Eligibility: Bachelor’s degree of minimum 3 years from a reputed Institute with at least 55% aggregate marks. Test pattern and selection: The entrance test consists of questions from 10+2/graduate-level Maths, graduate-level Computer Science and General Aptitude. After the result is declared candidates will be shortlisted and called for interview on the basis of performance in the entrance test. NIMCET is a national-level entrance test conducted by NITs for admission to their MCA programme. NIMCET scores are accepted by institutes like NIT Trichy, NIT Jamshedpur and all other NIT’s. The cost of the application form is Rs. 1,000. Eligibility: Candidates should have studied Maths/Statistics/Business Maths in graduation as well as 12th and should have a min aggregate of 60% in class 12th and graduation. Test pattern and selection: The entrance test is of 2 hours duration and has120 multiple-choice questions with four choices in each question. Each correct answer will carry 4 marks and wrong answer will attract 1 negative mark. Sections: Mathematics – 40 questions, Computer awareness – 10 questions, Analytical ability and Logical Reasoning -55 questions and General English – 15 questions. The list of candidates to be called for counselling/seat allotment based on rank will be published on the websites of all the participating NITs offering MCA programme. 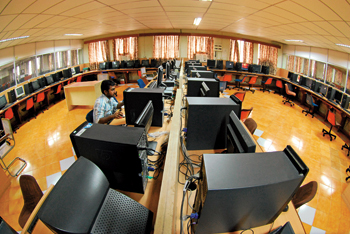 Pune University has at least 118 research institutes and 269 affiliated colleges and conducts an all India entrance examination for admission to MCA and MSc (Computer Science) courses. The cost of the application form is Rs. 575. Eligibility: Bachelor’s degree in science (or BCA) with Maths at 10+2 level and for MSc (Computer Science) a candidate must have a bachelor’s degree in CS. Test pattern and selection: The entrance examination consists of multiple-choice (objective type) questions from the following sections: Mathematics, General Aptitude and English language. Selection of the candidate is based on personal interview and score of entrance. WB-JECA is conducted by the West Bengal Joint Entrance Examinations Board and students not only from West Bengal, but also from several parts of India give this exam to get admission in the various institutes of West Bengal. The cost of the application form is Rs. 400. Eligibility: Bachelor’s degree with Maths/Statistics as a subject. Test pattern and selection: JECA is a paper-based test of 2 Â½ hours and is divided into two parts. Part A: Aptitude test (100 marks for 1 hour), Part B: Mathematics (100 marks for 1 and Â½ hour). Selection of the candidate is based on personal interview and score of JECA. The objective of JAM is to provide admissions to various MCA, MSc, Joint MSc-PhD, MSc-PhD Dual Degree and other post-bachelor degree programmes at the IITs based on the performance in a single test. The application form can be filled offline for Rs. 1,000 or Rs. 900 for online application. IITs are the organising institute for JAM. Eligibility: At least 55% aggregate marks in the Bachelor’s degree. Test pattern and selection: The questions for Biotechnology and Computer Applications test papers will be fully objective type. For the other six test papers, objective and subjective questions will carry weightages of 30% and 70% respectively. For wrong answer to an objective type question, candidates will get negative 1/3 of the maximum marks assigned to that question. For each test paper in JAM 2011, separate rank lists, on the basis of written test, will be prepared for General, OBC (non-creamy layer), SC, ST and PD candidates.